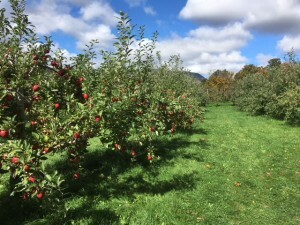 Sunday October 14 was our last day for the 2018 apple harvest – it was one of our best. Thanks to everyone who came and picked. Put us on your calendar for next Fall. 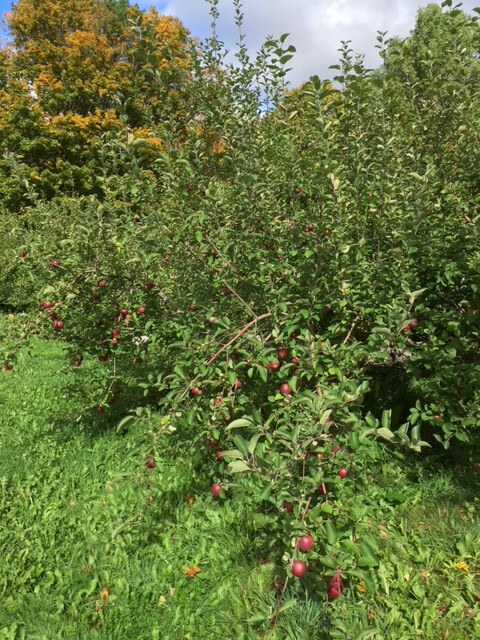 Fruit is more than 95% picked – some of the remaining apples will go to the Manchester Food Cupboard – the others will add to the organic matter in the soil – the ultimate in recycling. The photo show some of the work crew going home on the final day. Sunday Oct 14 will be the last day for our 2018 apple season. There are still good MacIntosh, Gala, Empire and Cortland. Drops are 1/2 price. There will be cider and donuts on Saturday and Sunday – until they run out. Get some more apples and help us wind up a good season. 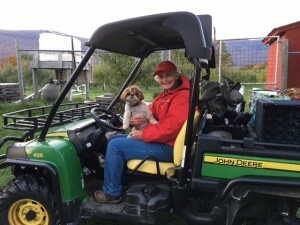 Lots of happy customers this past weekend – Honeycrisps and Macouns are now picked out. 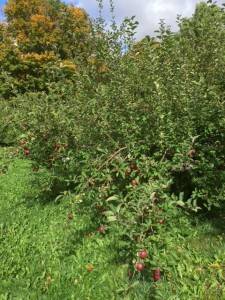 Empires (reasonably close to the barn) , MacIntosh (in the old orchard), Cortlands (down the hill) and Galas (close to the barn) are still available. Drops at half price are also available. Burr and Burton students will be here Wednesday on their service day to pick for the Manchester Food Cupboard. There will be cider and donuts on both Saturday and Sunday (until they runout ). Sunday October 14 will be the last day for the season. Your last chance to stock up on apples.